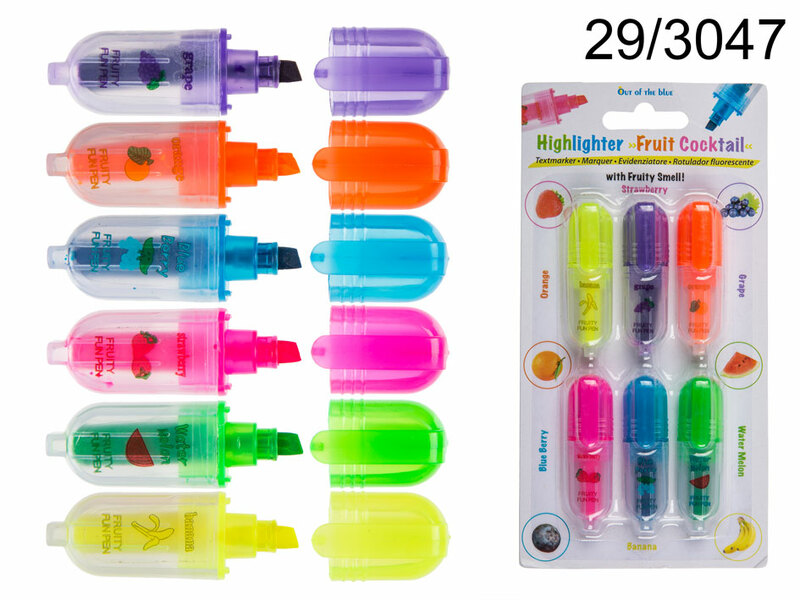 Set of 6 highlighters in bright colours that smell like fruits! Each colour has a different scent. Handy set for marking notes or important parts of text at work or school. Dimentions of a highlighter: 5.5 x 1.5 cm. Great item for everyone regardless of age. Dimentions: 19 x 9.5 x 2 cm.